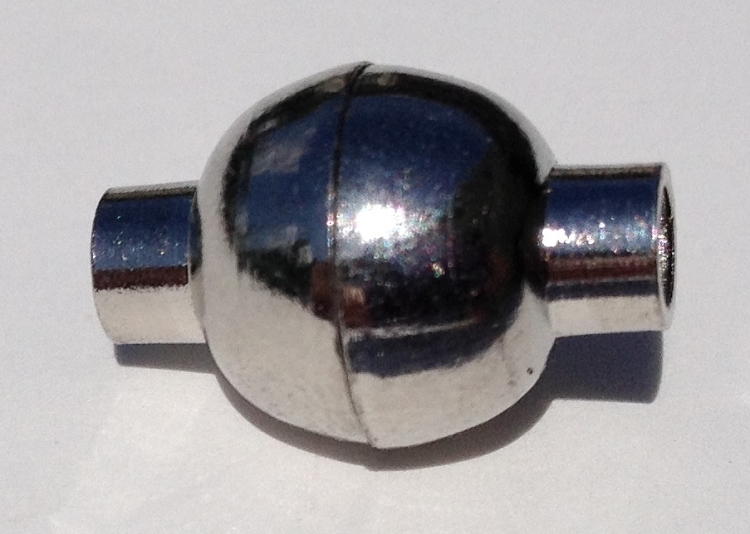 This alloy magnetic clasp has a platinum finish or gold finish (depending on which you choose). The leather is glued into the clasp. You can use 2 strands of 1.5 or 2mm leather cord (you may need to squeeze the 2 together to make them fit) These are great to finish off your bracelet or necklace. These are so neat and easy to use; this is great for the person that has a problem with putting on and taking off their jewelry. This product make it easy to put on and take off a peace of jewelry. good size but one magnet came out, had to glue it back. Superb quality! I ordered both the silver and the gold and they are top notch!! Excellent products! Great shipping speed and customer service. Another happy purchase.